The Borders collection was developed by closely studying our current and archive collections and celebrates the versatility of how a border pattern can be used alone or as part of a scheme. 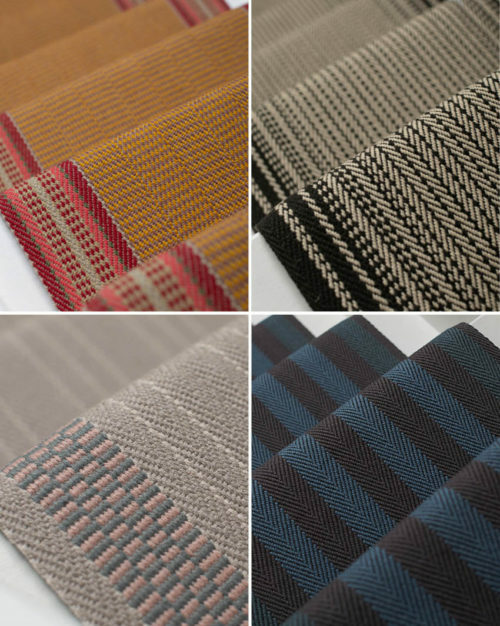 Each of the new designs were carefully created to work well as single width runners, but will transform when seamed together into larger pieces for rugs and wall to wall areas. 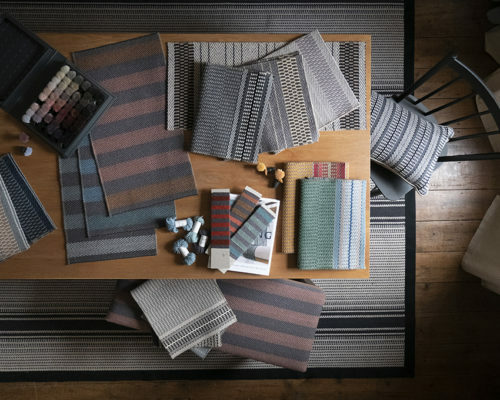 Furthermore, all the designs have been considered to not only co-ordinate within the collection but with other existing Roger Oates designs. 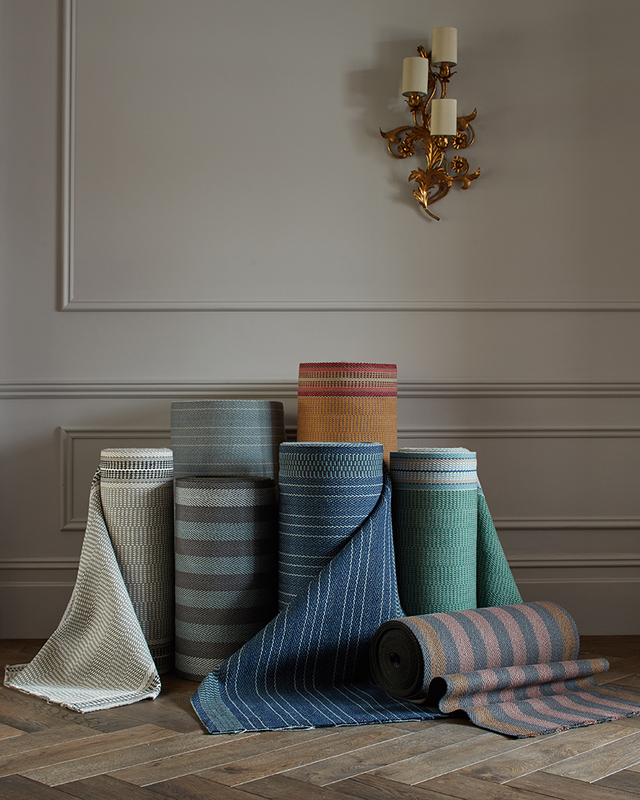 The collection comprises of four new border designs – Pelham, Eldon, Hanbury and Finchley. Colours are sophisticated with a modern edge. Tones of Chalk, Taupe and French Grey for soft, understated elegance. The dark ground in Eldon uses a brand new tone ‘Lamp Black’, which lends all three colourways an intense warmth as well as depth of colour. The collection also features rich jewel tones of Juniper and Gold. Finally, there is the classic high contrast monochrome, Stone. In the coming weeks we will take a closer look at the new collection and give more detailed insight in to all our new designs.